Do you know the way of the Trompe L´Oeil? 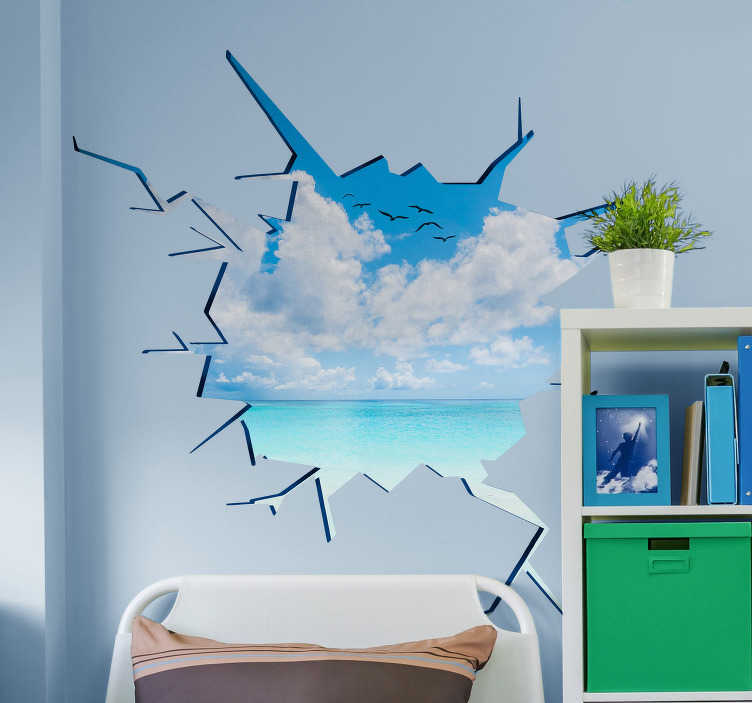 A French phenomenon, creating an impression that there is genuinely a hole in the wall, this Trompe L´oeil sticker might just be perfect if you wish to add a fun and realistic touch to your home! Depicts the sea, with a little beach and clouds thrown in for good measure! Choose your size and purchase this home decal today!